Major election reforms have a tendency to garner considerable sideshow attention during a presidential contest — even though such policy changes rarely impact the upcoming vote in the larger sense. Since voter ID was ‘so 2012’, automatic voter registration (AVR) has taken its place in the limelight this year. Election reforms, especially those pertaining to voter registration, are typically promoted to help some cohort of the nation emerge from the political sidelines and push for expedited registration that intuitively simplifies the demands that arise in their life. In years past, Congress paired registration as an added option to other government services. Some states also allowed for the establishment of deputy registrars to better support neighborhood drives. More recently, a majority of states are now offering online applications for wannabe voters as well. All of these options are based on a voluntary system, with the idea that governments should offer a variety of mediums for individuals to get involved when they so choose. Apparently, that’s not enough anymore. Three governors recently signed automatic voter registration bills or currently have them on their desks. The common thread between the bills in California, Oregon and West Virginia is that individuals would be added to local voter rolls automatically when they seek a new driver’s license or update an existing one. Does AVR make it easier for the voter? Sure, when a government office assumes one of your responsibilities, that is one less thing to do — at least in the short term. But beware, automation will inevitably bring assumptions designed to make bureaucrats’ lives even easier. State budgets and available manpower will always be finite. Thus, the phrase “close enough for government work” unfortunately applies here as well. The first state to introduce such a regime, Oregon, offers first proof of this problem. Oregonians praised their monthly pace-breaking signups until a new headache was felt. It turns out that roughly 86 percent of the 25,000 new voters will be blocked from participating in the May closed primaries due to a bureaucratic system default that enrolls them as unaffiliated with any party (even Independent). Bottom line: voters will be required to file additional paperwork after the fact to select a team. 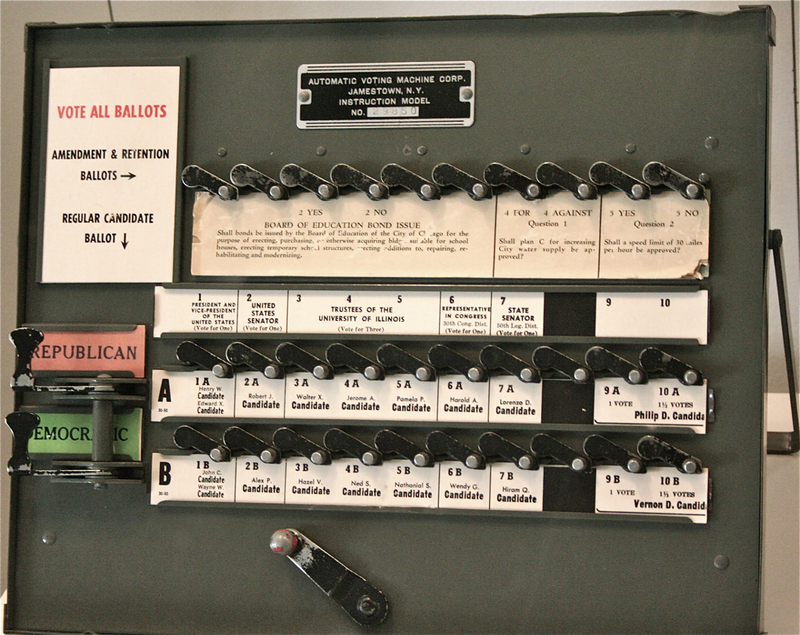 In this all-mail balloting state, if voters don’t select a party label, a ballot will not be sent to them. Had the state kept exclusively to its traditional methods of voluntary registration, this would have been a non-issue because individuals would have been allowed to select their political party preference up front. Wouldn’t it have been easier to grab a smartphone or computer and just register online according to your own schedule? In Oregon, there’s an app for that. What’s the harm in automation? Fraud? Even if we acknowledge that new government programs will always risk false starts and hiccups, the inherent flaws remain, and they are not necessarily fraud risks. When states reduce prospective voters to lines of data swapped between bureaucratic databases, they are often the last to know when the system fails them. Our voluntary system places a duty on citizens to communicate their needs to election officials, while longstanding law requires those same officials to service citizens in a timely manner. If a failure occurs due to no fault of their own, there are buckets of money available (from all corners of the political spectrum) to help voters seek legal remedies. Automatic voter registration would disrupt that dynamic with soul-sucking bureaucratic inefficiency. The writing is already on the wall, signaling how AVR will fail voters on a large scale. Two states, North Carolina and Texas, are currently in court due to significant alleged data transmission failures between driver licensing agencies and election officials. A number of voters complained that after they registered to vote at the DMV, their information never made it onto voter rolls. Unfortunately, that left them to learn the bad news on Election Day when no regular ballot was waiting for them. Federal courts will have to figure out who dropped the ball while fingers point in three different directions. But, won’t more people be ‘enfranchised’ and vote anyhow? The Oregonian Editorial Board’s recent paradoxical support for AVR also manages to underscore the fatal flaw of the reform when it wrote, “[Automatic voter registration] is doing what backers wanted it to do: Enfranchising many who might not otherwise have bothered to register.” What is accomplished when voter registration is forced upon those which have already demonstrated indifference toward it? One does not have to look far — in a geographic or cultural sense — to see where automatic voter registration has failed to stoke turnout on Election Day. In the 1950s and 1960s, Canada saw impressive turnout rates with its voluntary system of registration, often hovering near 80 percent participation. But by 1988, turnout dipped to 75 percent (numbers Americans would still gush over), leaving policymakers to eventually automate voter registration in the 1990s. The shift proved disastrous at the ballot box (election year (turnout %)): 1997 (67%), 2000 (61.2%), 2004 (60.9%), 2006 (64.7%), 2008 (58.8%), 2011 (61.1%). 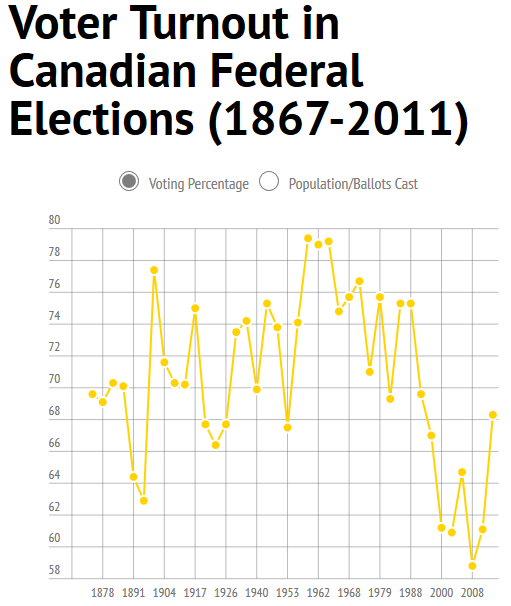 The 2008 Canadian election beat the nation’s record-low turnout last seen in 1896. Opponents of automatic voter registration will most certainly be painted as somehow being against voter registration in general. These sloppy retorts demonstrate an inability to see beyond the presumed innovations. As a result, bureaucratic system failures, turnout shaming and other unintended consequences will continue to pile up on voters. Progress, indeed. True the Vote is a Houston-based voters’ rights and election integrity group dedicated to educating and empowering voters to serve in their community’s elections.